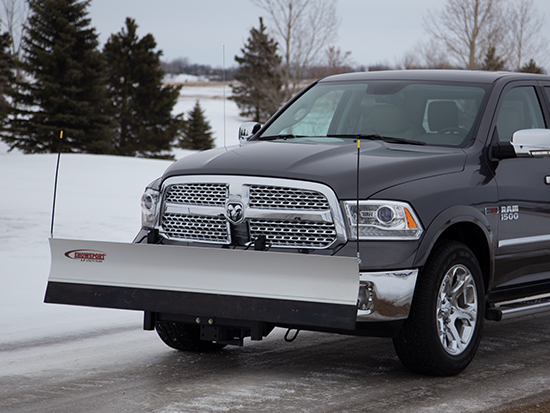 This personal snow plow has an average rating based on 24 customer reviews.
" I will have to say I love this plow. It only has a couple of drawbacks for me. First of all, the instructions are quite clear on how to assemble but I wished that the holes needed to mount the rubber cutting edge came already drilled. I also found with our early November snowstorm here in northern Maine (it was a very heavy wet snow) that you will have to make a few extra passes to get that wet snow back. I did not use the hold down strap during that storm so I can't say if using the strap would have helped in a situation like that or not. Since these are what I call minor issues, the plow will get 5 stars from me because it will do what it is designed to do and at a decent price as well. " " After using the Snowsport LT for almost a full snow season, I am simply amazed at how good it works. I have used it on a range of snow falls from 1-8" and even used the plow to clean out 3� of windblown drifts on the full width of my driveway. I learned quickly that taking 2-3 short swipes at hard packed snow at a crawl will get the hard packed snow from wind blowing started on the edge and then just push at a crawl to continue to break the hard pack loose from the bottom. My favorite part of this purchase is that it is small enough that I can back into my garage with the plow on so I never have to get out of the SUV from start to finish. Drinking hot coffee while you are moving snow in a warm cab sure beats having to dress for the elements using a snowblower. This snow plow has simply exceeded my expectations! " 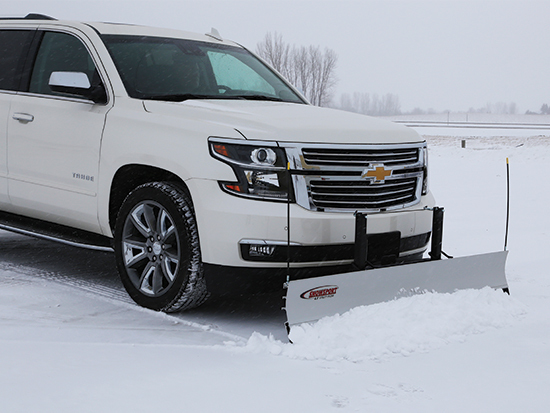 " The Snowsport LT Snow Plow was a great purchase! It's really nice that I can plow snow in the comfort of my warm truck instead of being outside in the freezing elements. Surprisingly this snow plow moves the same amount of snow as my skid steer but does a quicker and much cleaner job without tearing up my yard! " " Good quality and arrived in a timely manner. It took all day to put together and we used a lot of tools. " 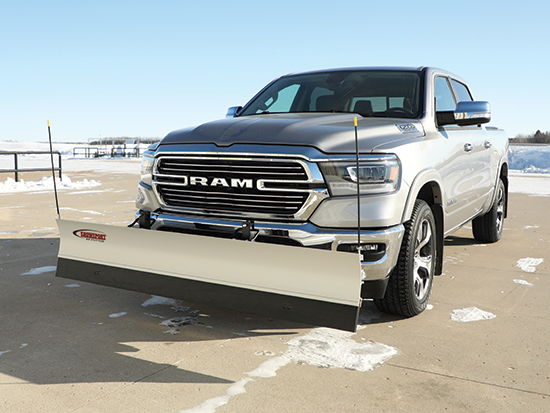 " I am very happy with this snowplow. I ordered it on a Saturday and got it on Wednesday, the day before we got a foot of snow. I put it on my 1992 F150 truck and easily cleared my 300 plus foot gravel drive way. Good product. " " Plowed on 3-7-2018 in Maine major snowstorm heavy wet snow worked great "
" I put the 180 on the back of my 1998 Mercedes ML320, what a beast! I moved all my snow than drove 19 miles to mom's and did her driveway. The plow worked great. I was nervous about the simple fold over system, but it works awesome. It does not drag snow back when you change direction. The only thing was when I ran down the road the blade brought up road grime onto the rear of my truck. On my way back home I turned it over and traveled with it hung the wrong way and no grime on truck. I am sure that that mode of travel voids any warranty but it works for me. Other trucks would be different so might not be trouble for them. All things considered five out of five "
" So easy to install and works very well. I am so pleased with my purchase. " " Sometimes the best answer is the simple one, the Snowsport LT is well designed and keeps operation simple. It takes what used to be an hour to push snow and turns it into 10 minutes from the warmth of your vehicle. My favorite feature is the rubber edge that will push snow over grass without tearing it up. I can push piles into the yard so I have room for the next snow fall. " " I love it. I installed it on my GMC Envoy myself and it works great. We had one bad winter last year and it worked great. "